In 2018, over 600 companies applied to be part of the Stanford seed transformation program and out these 600 applicants only 64 were chosen. This initiative aims at supporting local business growth by leading emerging economies towards prosperity. The program helps businesses come up with an implementation ready action plan inclusive of upscaling plans. Throughout their incubation period (12 months), participating businesses will work with high-level mentors in coming up with transformative solutions for their business. In addition, they will also be a part of a network of business peers and share resources, ideas and support each other in their business challenges. 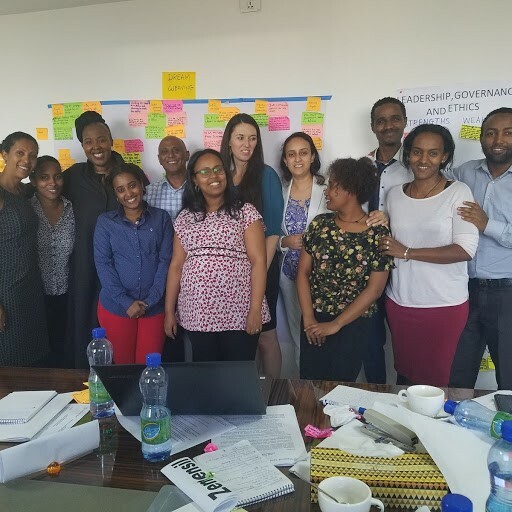 Ethiojobs, through our Country Manager, Hilina Legesse, has been selected for the 2019 program. The initiative is expected to transform our business thus making us more efficient and more tuned to our clients’ needs.